The Freedom Guide is the key to generating income and releasing homeowners from the strangle hold of living expenses. This book can teach you how to be free. Financial freedom is attainable for everyone. Regardless of your education, current economic situation, or your credit score you can be free of debt and stress. Knowledge Is Power. Let us teach you the solution. 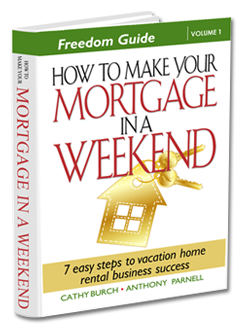 When you read our book you learn the secrets to the vacation rental business. We show you how to turn your existing asset in to a money making opportunity. When you join our community you can come to webinars, connect with others who have used the book and much more. We happened upon this book and were pleasantly surprised with the information. 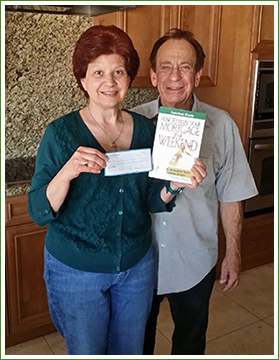 The book was easy to read, informative and provided step-by-step instructions on how to operate your own vacation rental business. Literally, within days we were able to turn our primary home into a vacation rental and secure our first booking. WE MADE OUR MORTGAGE IN A WEEKEND!